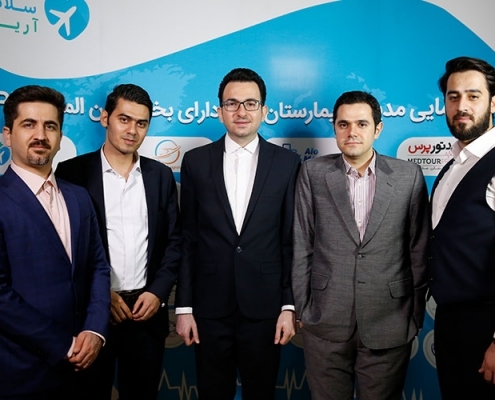 AriaMedTour has unveiled its latest service on the sidelines of a national conference that brought together on Monday the heads of hospitals with International Patients Departments (IPDs) as well as medical tourism experts from around the country. The new service which was introduced under the brand name of MedTour Logistics is developed and sponsored by AriaMedTour as a division of the company. 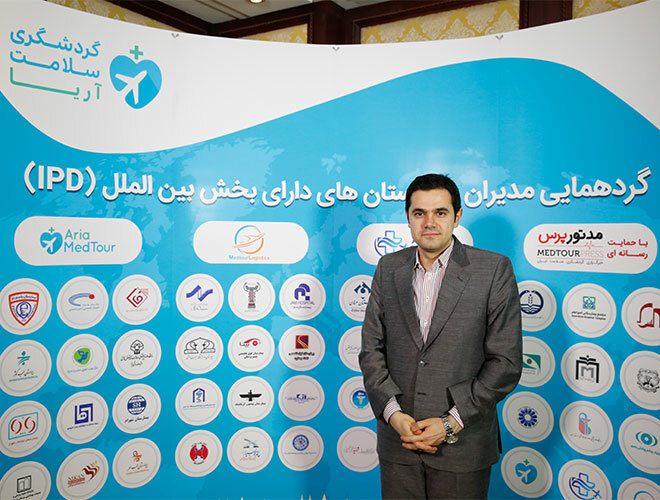 MedTour Logistics is exclusively focused on logistical services for health travelers. 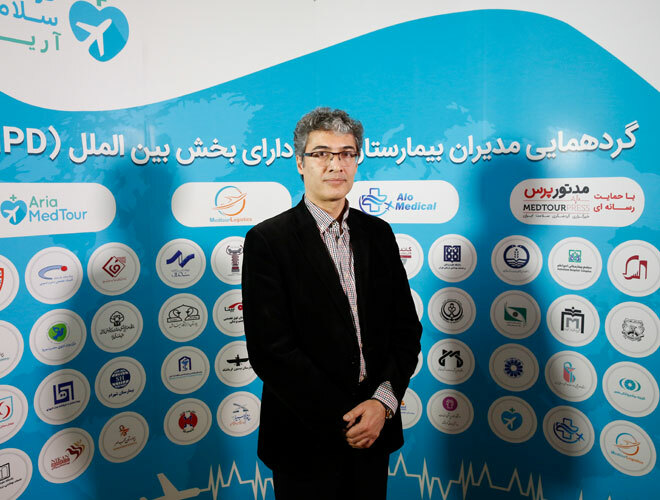 Apart from healthcare services which are provided by clinics and hospitals, MedTour Logistics provides all other services a health tourist needs, including accommodations, transfer, airport pick-up, interpreter and guide, etc. 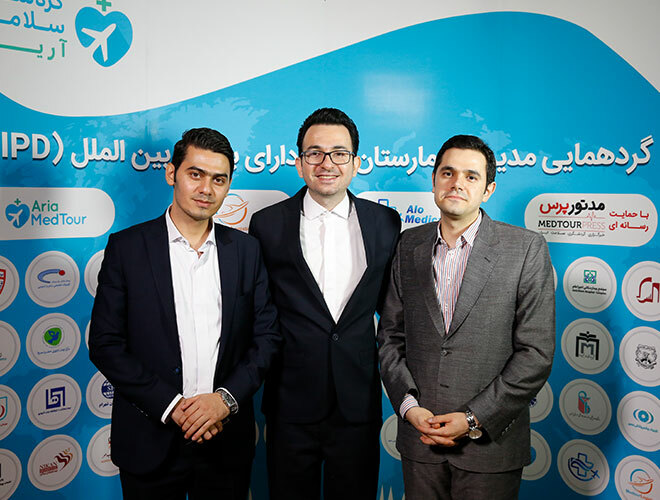 With its professional team comprising of guides fluent in English, Arabic, Russian, etc., and experts in tourism and hospitality, MedTour Logistics is intended to provide VIP services to patients from the time they arrive at the airport until they leave Iran. 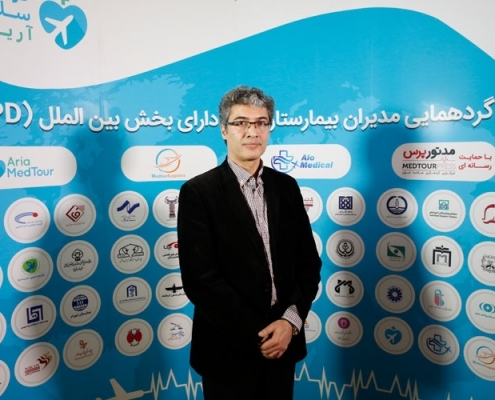 IPD stands for International Patients Department, a relatively new concept that that has transformed Iran’s health tourism industry since a few years ago. 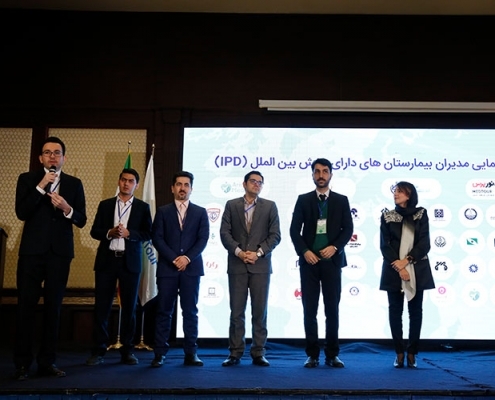 The aim of IPDs is to coordinate all the affairs related to admission of and provision of services to patients coming from foreign counties, that is to say, to streamline the whole process. 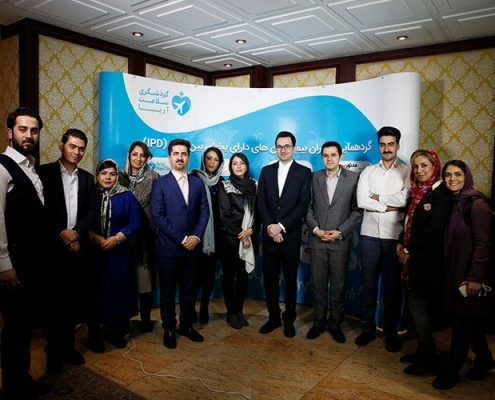 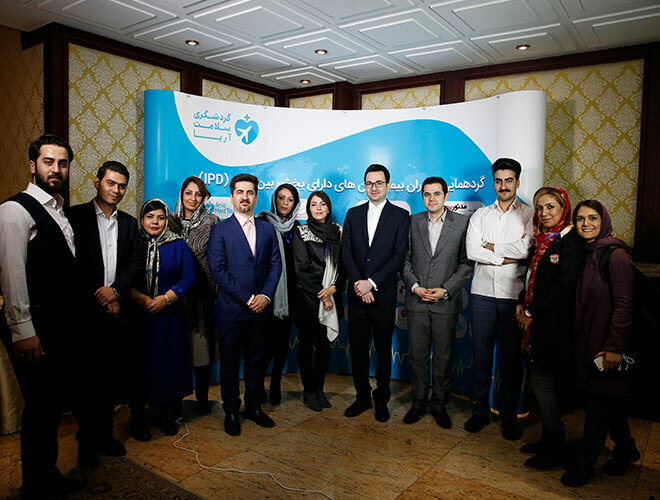 AriaMedTour’s staff posing for a photo during the conference of heads of hospitals with IPD, held on Monday, January 28, 2019 in Tehran. 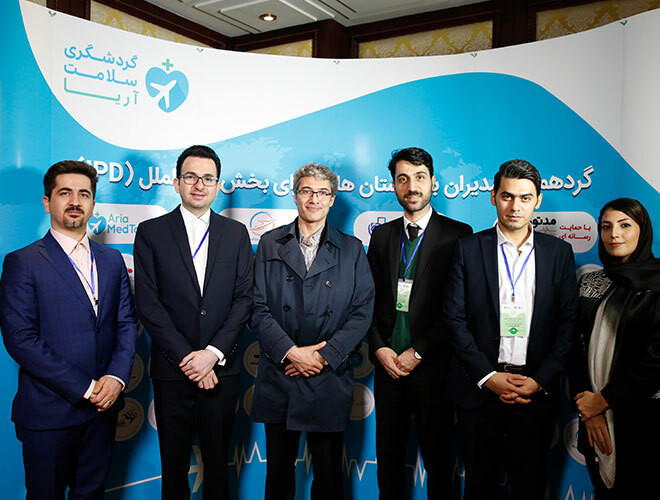 According to the country’s ministry of health, clinics and hospitals that want to offer healthcare services to foreign health tourists are obliged to obtain a special certificate and set up an IPD according to standards defined by the ministry. 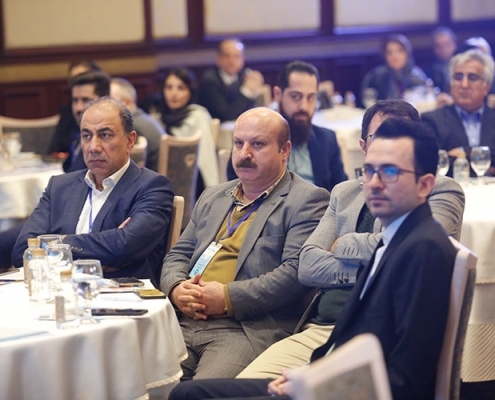 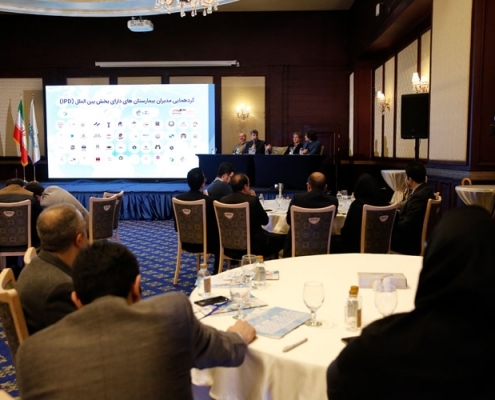 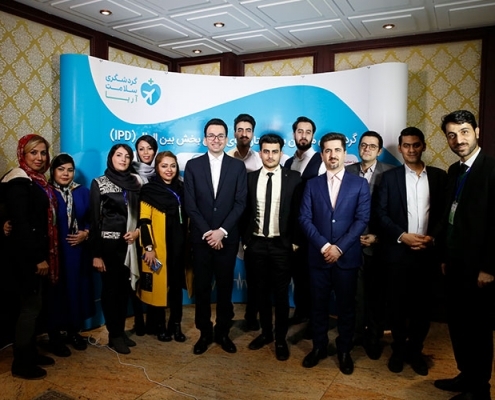 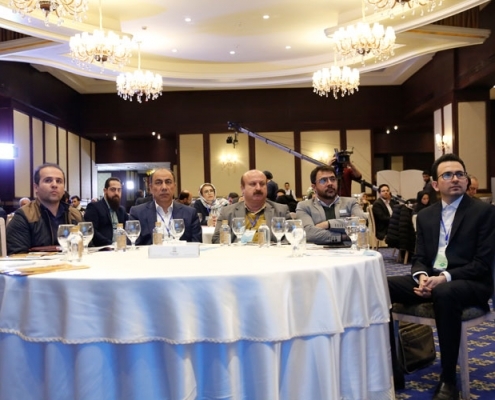 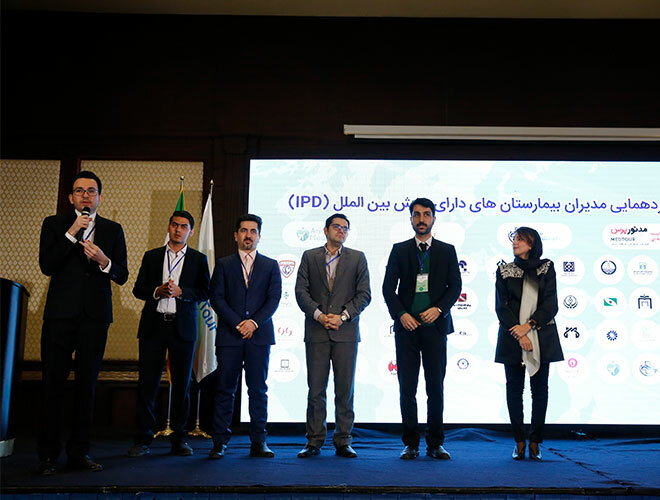 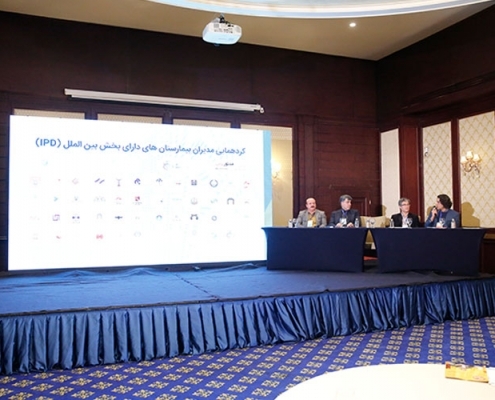 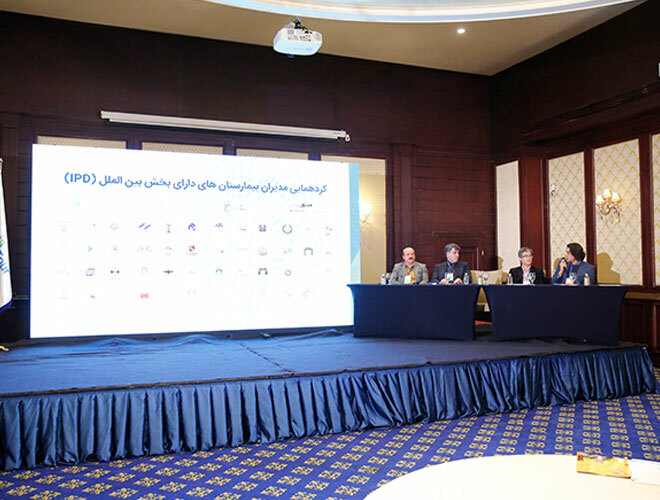 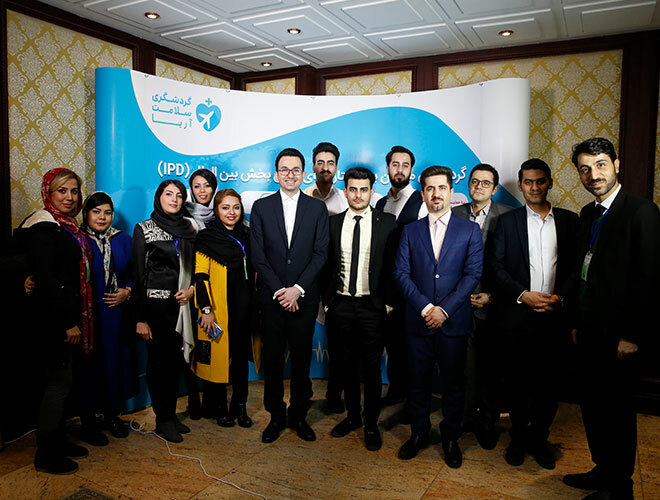 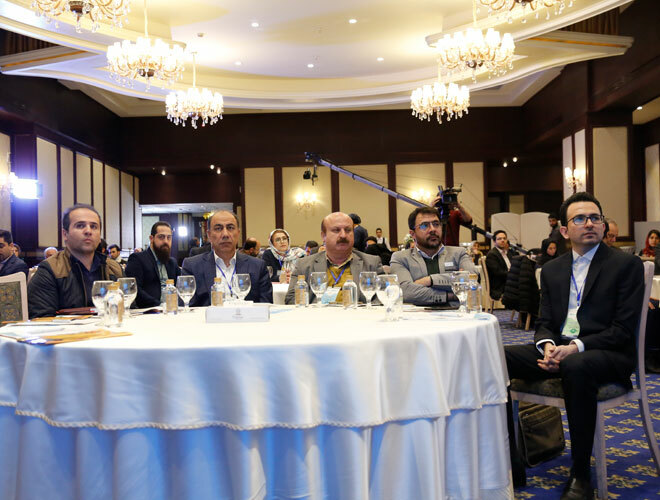 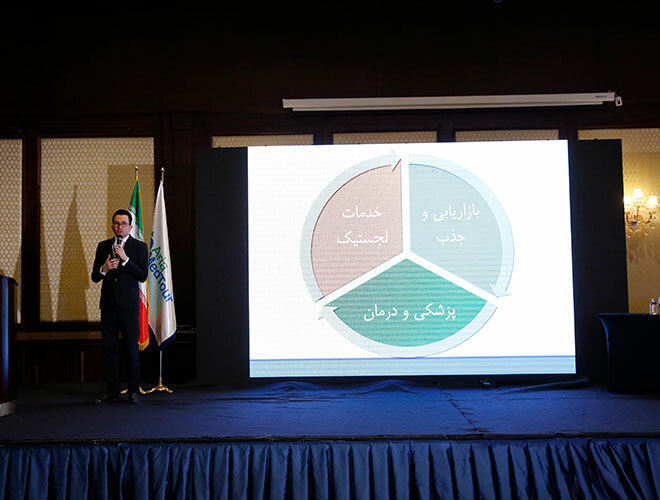 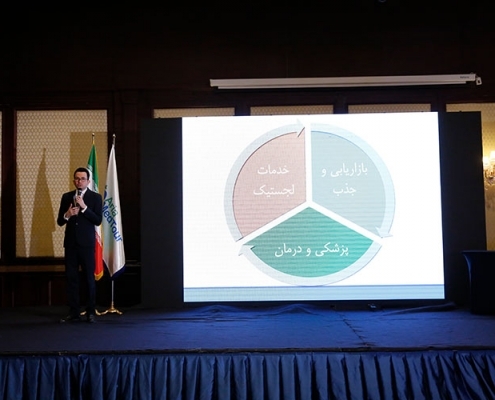 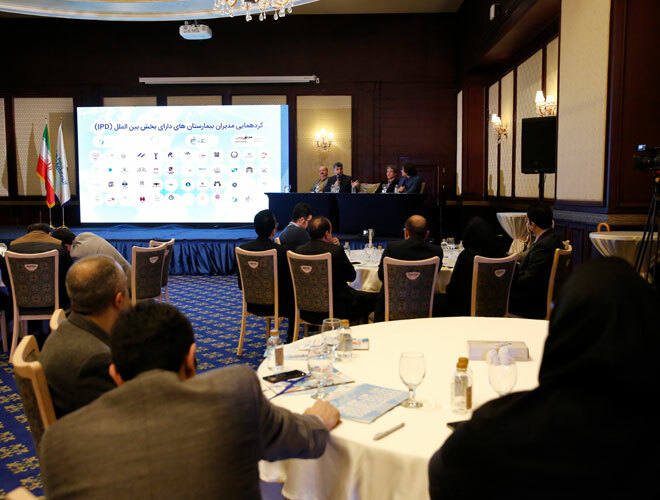 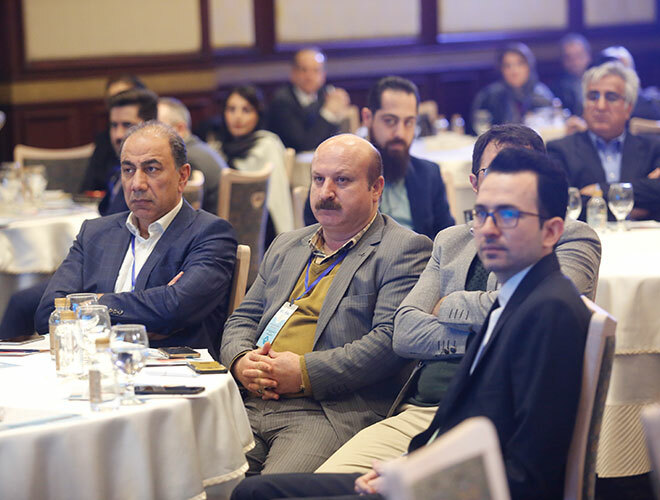 The recent health tourism event dubbed ‘The Conference of the Presidents of Hospitals with IPD” was held on Monday, January 28, 2019 at Espinas Palace Hotel in Tehran. 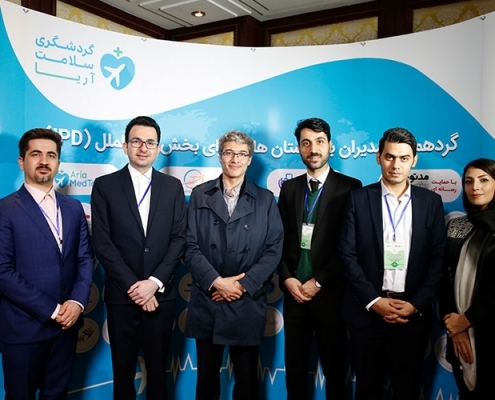 It was attended by head of the Health Tourism Department of Iran’s Ministry of Health and Medical Education, Dr. Saeed Hashemzadeh, director of the Iranian Health Tourism Association, Dr. Mohammad Jahangiri, and presidents of hospitals equipped with International Patients Departments. 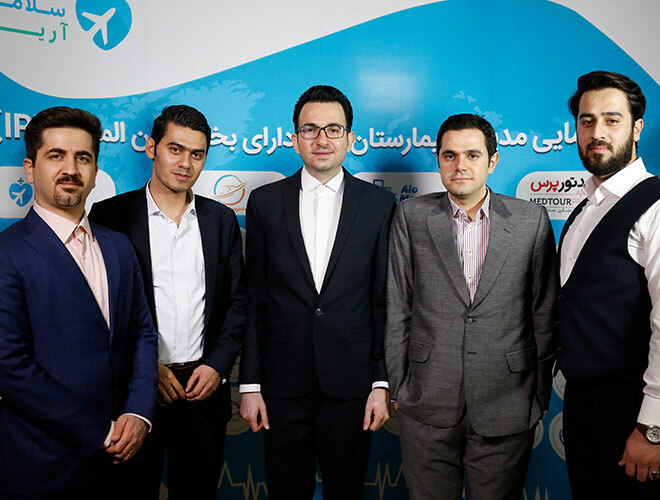 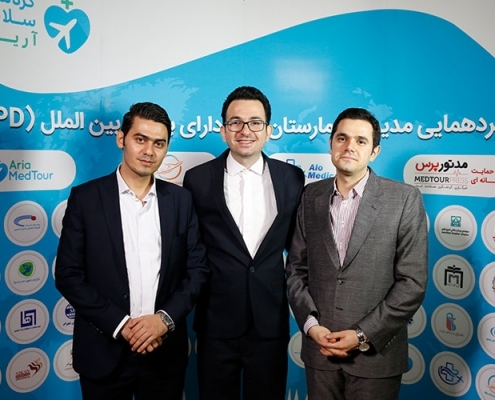 The main theme of the conference was the role of private startup companies and medical tourism facilitators such as AriaMedTour in improving the status of Iran’s health tourism industry, as well as the challenges facing the country’s medical tourism industry.